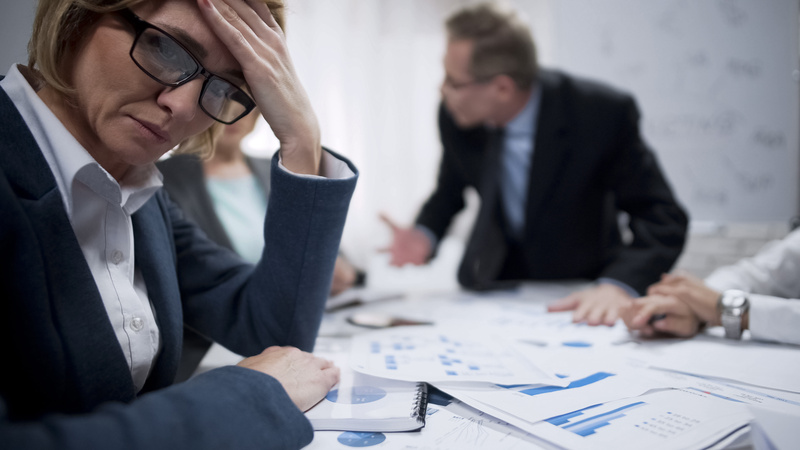 It was Alexander Pope who penned the phrase, “to err is human; to forgive, divine.” But it can be very hard on employees when a senior leader or manager botches up their personal recognition experience. You’re often left to pick up the pieces, make amends, placate upset employees, or otherwise fix the recognition mistake that the leader made. You can’t always correct a leader right away. What can you as a recognition manager or practitioner do to prevent any further recognition mess-ups? First, let me give you two examples I’ve encountered of leaders who didn’t get it as far as recognition is concerned. I remember working with an organization where I helped facilitate a new vision and mission for them. The second day I provided training on how to give meaningful and effective recognition. The CEO and other senior leaders were all present with their departmental managers and a selection of staff. Within a day or two after the event I received an email, not from the CEO but from their assistant. It said, that the CEO had asked her to email me and express thanks for the great work I did with the presentations I delivered. This CEO had not learned the importance that you can never delegate expressing recognition to people. The other scenario I received from an employee I met in Europe. They told me how their senior manager never acknowledged a junior staff by greeting them or using their name in the hallways at work. This even extended to encounters while traveling on public transportation to and from work. What is it going to take for you to help your leaders give better recognition? Yet, with large corporate ceremonies and award events, this same leader, was all smiles and warmth when greeting the same employees on the platform. They wanted the show of their public charisma and credibility in front of a large audience. But the lack of authenticity deflated any company attempt to honor or recognize employees. Both situations reveal how these leaders did not know the value of creating positive relationship strength between themselves and employees. They had not learned to connect positively with their employees. It is only when there is a positive relationship strength between people they regard recognition received as meaningful, sincere, and effective. No matter what interpersonal difficulties your leaders might have, what is it going to take for you to help your leaders give better recognition? The easiest step is to teach them about employee recognition practices and correct usage of online recognition programs. Teaching is more directive in nature with you trying to push knowledge and know-how onto a leader. This approach is mostly one-way. If you are the one that has knowledge and expertise in the art and practice of giving authentic recognition then you need to teach your leaders how to do it right. You can do this through one-on-one tutoring providing insights and tips on giving better recognition. Consider spending time with them on any planned walk-abouts they do and observe how they interact with employees. Give them feedback and advice afterward. Encourage leaders to better prepare for upcoming recognition interactions or events. You can encourage them to do well at preparing for upcoming recognition interactions or events. Provide them whatever resources are in-house on how to give feedback, recognition, or presenting an award. This can be articles or books you send to them, or recognition guides to assist them. Make sure they have access to company videos or online courses available on your learning platform. Coach: You shared with me that you know you want to improve your ability to give more effective recognition. Your engagement study scores did not look too favorable on recognition. Do you have ideas of where you would like to start? Leader: I am not too sure right now. I don’t feel like I really know my staff well enough to know what to recognize them for. Coach: That’s important to have a better relationship with your staff. How could you get to know them better? Leader: I cloister myself in my office at noon-hour to eat my lunch. Perhaps I could join my staff in the eating lounge occasionally. Coach: That sound like a good start. How often do you think you should do this in any week? Leader: Well, knowing the meetings I have next week I could probably wrangle twice. Coach: Okay. Which day will you start? Leader: Let me see, I can start on Tuesday. Coach: Good! I’ll email you on Wednesday and find out how the interactions went with your staff. You could also have other exemplary leaders meet with them and give their principles for giving meaningful recognition. Have them share their examples of what works for them and what doesn’t from their experience. They act as a mentor for your leader. Coaching is about following the agenda and needs of the leader. They have to have insight and awareness they are not doing so well with recognition giving. And they must have stated a desire to improve or coaching will not work. Set up agreed upon triggers to cue your leaders into giving better recognition. This is all about setting up reminders either that you send as needed or in automatic delivery mode. They often call these triggers “nudges”. In today’s vernacular, a nudge is an indirect suggestion or subtle reminder intended to influence people’s behavior. You can do these in a variety of high-tech or low-tech ways to nudge your leaders into giving recognition or how to give better recognition. Think about providing social norm cues. You can do this by showing their scores on a recognition assessment tool or on the most recent engagement survey results and compare them against the average of all other leaders. This may help you motivate their improvement in this essential interpersonal skill. Solicit a precommitment request from them by asking your leader to commit ahead of time for what day and hour they will do something––like when will they carry out some recognition skill development this week. Do your best to simplify access to available online learning about recognition skills. Set up the Learning Management System to send the leader notification reminder emails on taking their next course, setting implementation goals, and following up after completion. You could have a series of these statements developed and personalized to address various recognition strengths and weaknesses of each leader. And you could always have campaign or motivational posters on company walls. You could have an agreed upon sign or an object with a directive or motivational message on it, to act as a trigger for the leader. Consider teaching, coaching, and nudging your leaders into giving better recognition whenever it is needed. Prevent recognition mistakes from ever happening again. Recognition Reflection: How do you address your leaders’ weaknesses or inabilities to give recognition to people the right way?